Must be a resident of a country in Africa. Learn valuable skills to launch or advance your career as a mobile or web developer. Master world-class curriculum developed with experts from Google and Udacity. Join a rapidly growing community of mobile and web developers. The application is straightforward and should take 10-15 minutes. There is a single application for all, whether you’re interested in Mobile or Web, and whether you’re a beginner or already have experience. 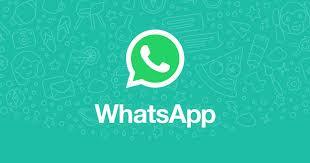 When applying, you will choose between learning web development or Android development. From there, once you’re accepted, they’ll place you in one of two tracks (beginner or intermediate), depending on your existing skills and experience. After that, the learning begins! Some scholarship recipients may be able to participate in an Andela Learning Community with our partners from Andela. Finally, top students from each track will earn full scholarships to one of our Android or Web Development Nanodegree programs. Answer what you can, to the best of your ability, and they’ll do the rest! 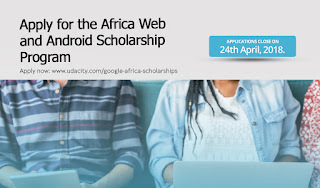 0 Response to "Google Africa Scholarship Program for Aspiring Developers 2018 and How to Enroll"